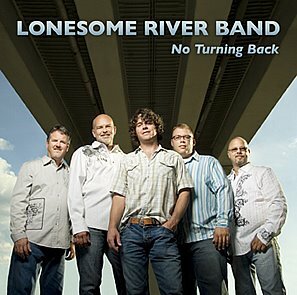 Rural Rhythm Records is proud to release the new album by multi-award winning Bluegrass Super Group the Lonesome River Band titled No Turning Back. Just last year Lonesome River Band celebrated 25 years as one of the most popular and influential acts in Bluegrass Music! They have not looked back since the release of their breakout album, Carrying The Tradition in 1991, which included current Lonesome River Band leader, Sammy Shelor, as well as, Dan Tyminski, Ronnie Bowman and, Lonesome River Band founder, Tim Austin. Over the past 25 years the Lonesome River Band career has been filled with a multitude of awards and recognitions including numerous awards by the IBMA and SPGBMA for Song of the Year, Album of the Year, Bluegrass Vocal Group of the Year and Bluegrass Band of the Year. Through changes in vocalists and rhythm sections, the constant in the wildly popular Lonesome River Band sound has been Sammy Shelor’s insistent, driving banjo style which has won him Banjo Player of the Year awards by the IBMA 4 years in a row, (1995, 1996, 1997 and 1998). Them Blues is the first single from the award winning Lonesome River Band’s 12th album and contains current band members: Sammy Shelor (banjo, vocals), Brandon Rickman (guitar, vocals), Mike Hartgrove (fiddle), Andy Ball (mandolin, vocals) and Mike Anglin (bass, vocals). The new album, No Turning Back proves again that after over 25 years in Bluegrass Music they still remain one of the most admired and influential acts in the genre. – Terry Herd, Bluegrass Radio Network. 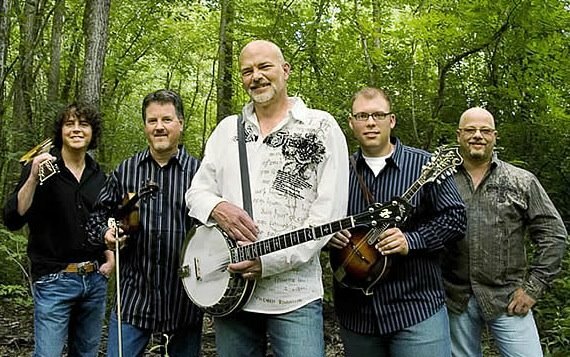 Lonesome River Band has spent 25 years defining the meaning of modern bluegrass, all the while influencing an entire generation of pickers and fans. A look at past members reads like a who’s who of contemporary bluegrass, and Sammy Shelor has once again assembled a powerful group of stellar musicians for this new release. Here’s to another 25 years of Lonesome River Band – John Lawless of the Bluegrass Blog.